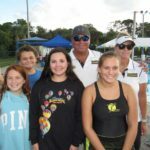 Close to 90 swimmers, cheered on by a large crowd of family members and friends, gave it their all last Friday evening as competitors in the Float Hope Third Invitational Swim Meet at the North County Aquatic Center. 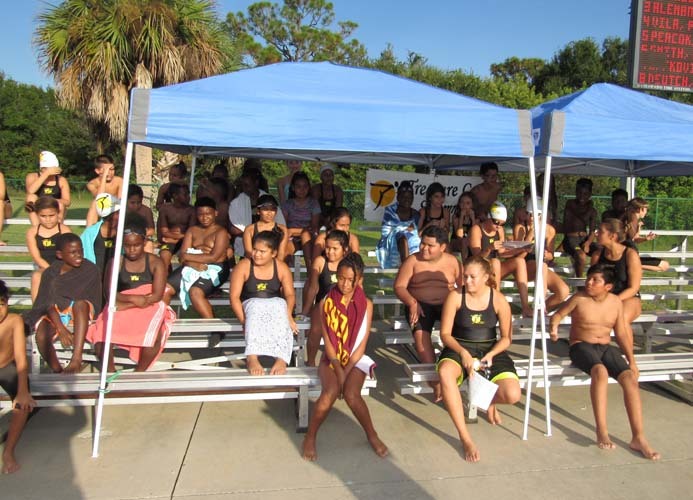 Afterward, participants and fans alike were treated to a tasty BBQ dinner and enjoyed free time on the waterslide. 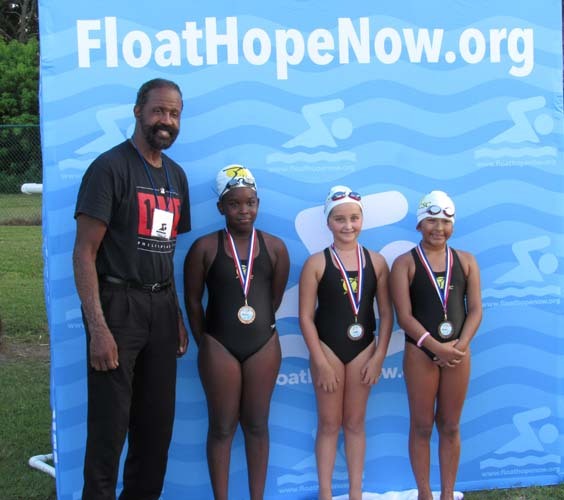 The nonprofit Float Hope of Indian River County was founded by retired executive Jeffrey Powers with Scott Barlow, head coach of Treasure Coast Swim Club, to not only teach low-income elementary and middle school-aged children how to swim, but also to provide them with a skill set that can help them compete in life. 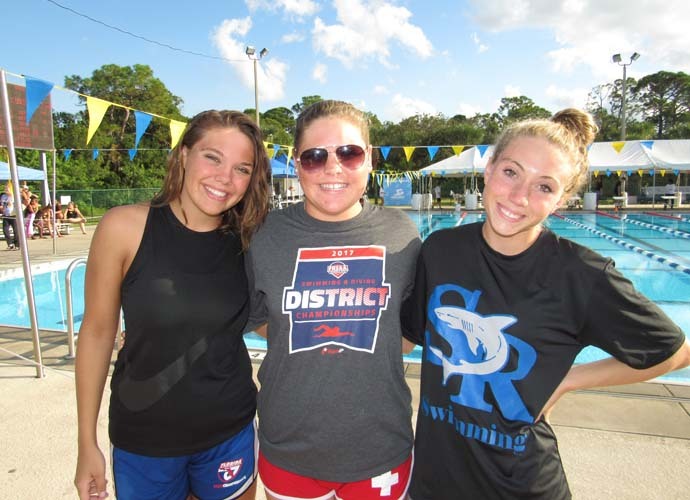 Swimmers in the program come from the Vero Beach, Sebastian and Fellsmere Boys and Girls Clubs and the Gifford Youth Achievement Center, all of which coordinate the signups and logistics. 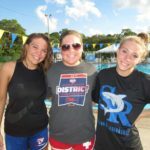 “They’re an integral part,” said Powers. 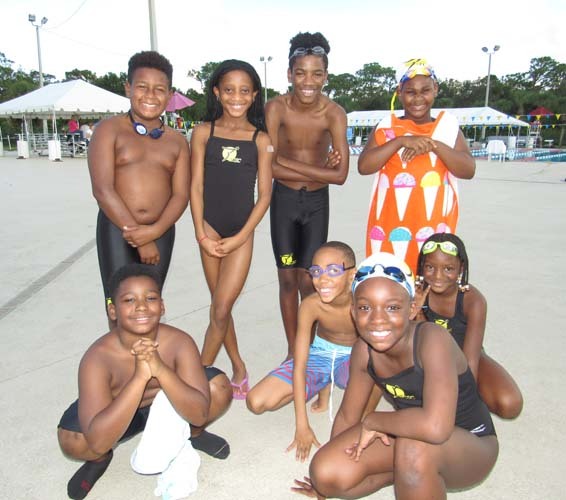 On Friday the excitement was palpable, as youngsters eagerly awaited the chance to show off their skills, beaming and positively wiggling in anticipation. 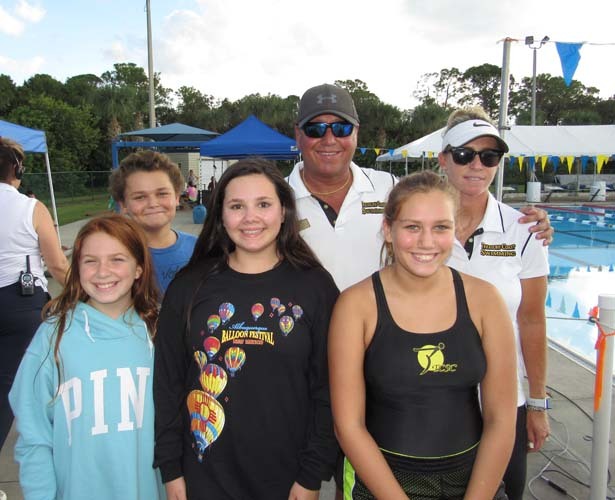 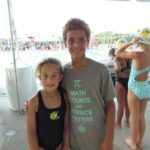 Middle school and high school Treasure Coast Swim Club volunteers assisted with checking people in, corralling swimmers for the various heats and as timers for the races. 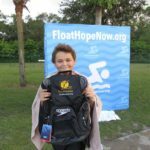 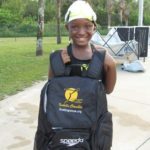 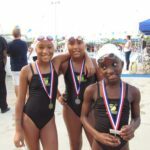 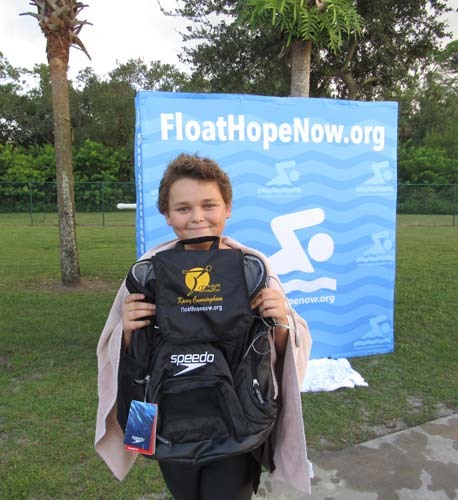 As part of TCSC, Float Hope enrollees are also registered with Florida Swimming and with USA Swimming, the national governing body for the sport, affording them a true entry into the sport. 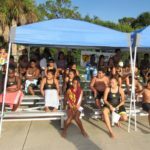 “We started with the concept that if you look at Indian River County, 87 percent of all minority kids do not know how to swim,” said Powers. 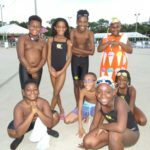 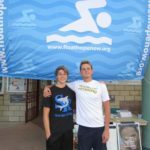 His thought behind the organization’s creation was the realization that competitive swimming could be a way for these children to gain confidence and possibly earn college scholarships. 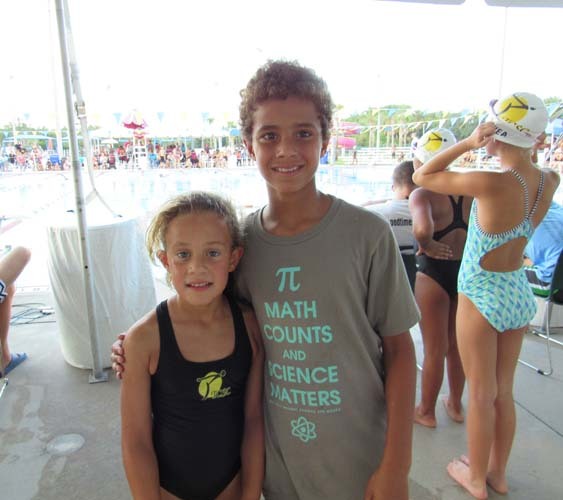 The children swim a minimum of three days per week, 52 weeks per year at either the North County or Gifford Aquatic Centers and must attend 80 percent of practices – and maintain good grades – to stay on the team. 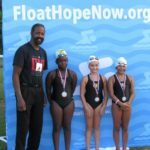 “They go from not being able to float to swimming laps to going to swim meets and swimming three or four strokes,” said Powers. 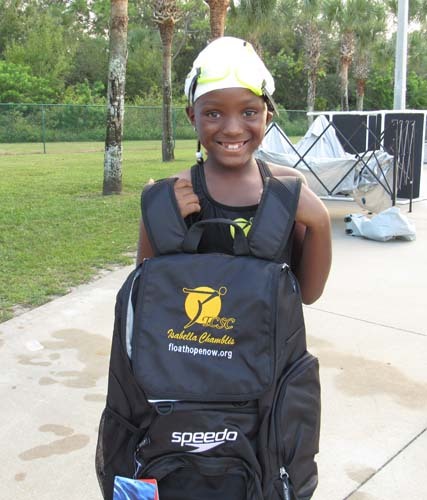 Roughly 170 children have gone through the program to date and 100 are currently enrolled. 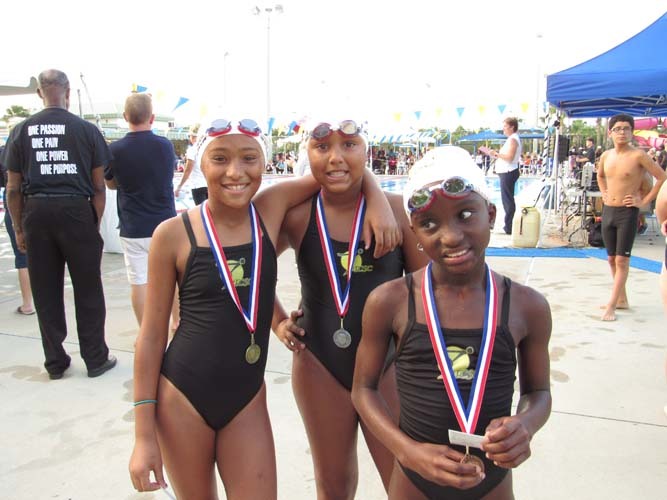 “We’ve been in existence less than two years and what we’ve got now is what I think is a well-oiled machine,” said Powers, noting that earlier participants are competing in swim meets in Orlando and West Palm Beach. 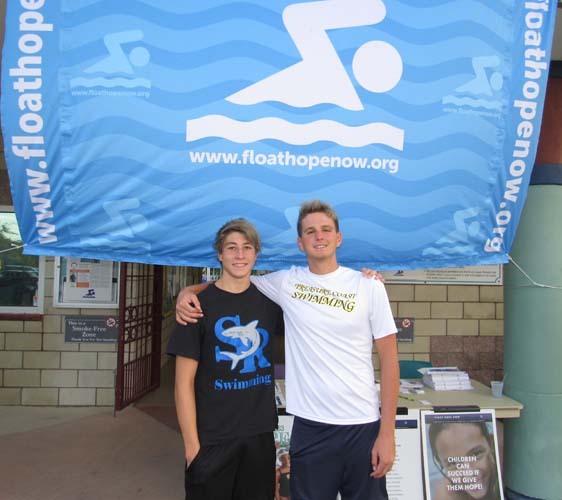 For more information, visit floathopenow.org.